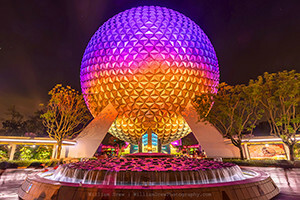 In this blog, I am going to do my best to show you how I make some of my photos that you see here on my website. I do have a few different ways to create these images, but in this blog, I am going to focus on just one of them. For this behind the scenes look, I will be using one of my Walt Disney World photos that features Spaceship Earth at Epcot. Now, to start with, this is my first time putting together one of these behind the scenes blogs. I'll do my best to keep it simple and show you how these magical photographs of mine come to be. The process that I will be showing today is called HDR. HDR stands for High-Dynamic-Range. It is a process that pretty much every photographer that has used it, started off by over-cooking the image. 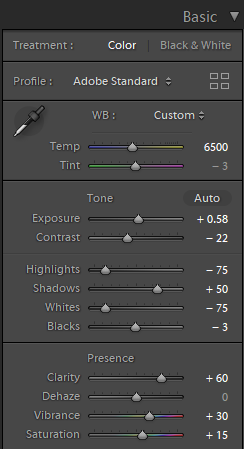 In photography lingo, over-cooking means you have edited it too much and it looks fake. It is very easy to do with HDR images, but thankfully most of us grow out of that over-cooked phase quickly. The entire process starts off with the photographer taking multiple photos of the same exact scene. The different photos are all shot to expose different light in the scene. When I do these, I will usually take 3 photos. The process usually works better with 5 or more photos, but my computer is getting up there in age, and using 5 photos with this process takes nearly an hour to do one photo. So I stick with three photos and my computer can finish it in 5-15 minutes. The reason some photographers use this process is to better capture a scene the way our eyes see it. When using a DSLR camera, each photo captures exactly 1 aperture of light. As humans, most of us see around 24 apertures of light when we are looking at a scene. So, the way that I do this is I take one photo that is the best exposure for the scene. I will take another that properly exposes the darker parts of the scene, and the final one that properly exposes the lighter parts of the scene. I don't always use this process. While it is better to use it in some scenes, it isn't always needed. Many of my photos are just one photo from start to finish and they can turn out excellent. I'll show you two of my more popular Disney images next that were both just one photo. Each pic below will have the final version on the left, and the way the camera captured the image on the right. This next one is from the Christmas Season at Disney's Hollywood Studios. As you can see, each one still had some work done to it, and in future blogs, I'll go over this process too. But depending on the image we are trying to create, I can use one photo, or multiple photos to get to my final piece of art. Next, I will show you the three images that I took to capture this scene. So, yeah, from those three images that I took, Lightroom is able to combine them and give me this. I then do a few other functions while still in Lightroom before I bring it over to Photoshop. I will show each function below and how I set each one up. After those steps are complete, I open the image in Photoshop where I do a few more little tweaks to it. Each of the steps in here makes very minor changes to this image. Sometimes it will make big differences, but as you will see below, there isn't much change after each step. 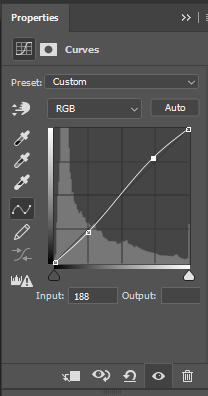 The first thing that I do in Photoshop is to adjust the curves and add some contrast back into it. I know, I just lowered the contrast in my final step in Lightroom, and then I add contrast first thing in Photoshop. It sounds absolutely crazy, but it works. 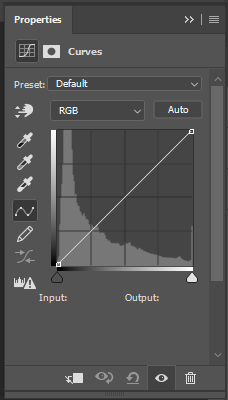 The image on the left below is the starting point for the curves function where you can see the white line that goes from bottom left to upper right in the grid. I just ever so slightly tweak it so that it gets a bit of an 'S' curve to it. I bring down the bottom a bit, and raise the uppers a bit, as shown in the image on the right. It is a very subtle change and some of you might not notice much of a difference. My next step is to again check the white balance. 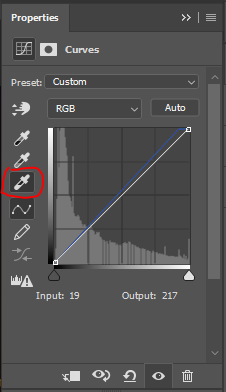 I do this by going back to the curves option, and then selecting the white eyedropper that is circled in the photo below. I then use the eyedropper to click on a part of the image that should be white. 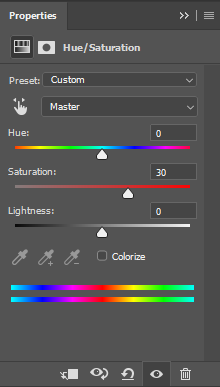 This makes sure all of the colors are correct in the image. 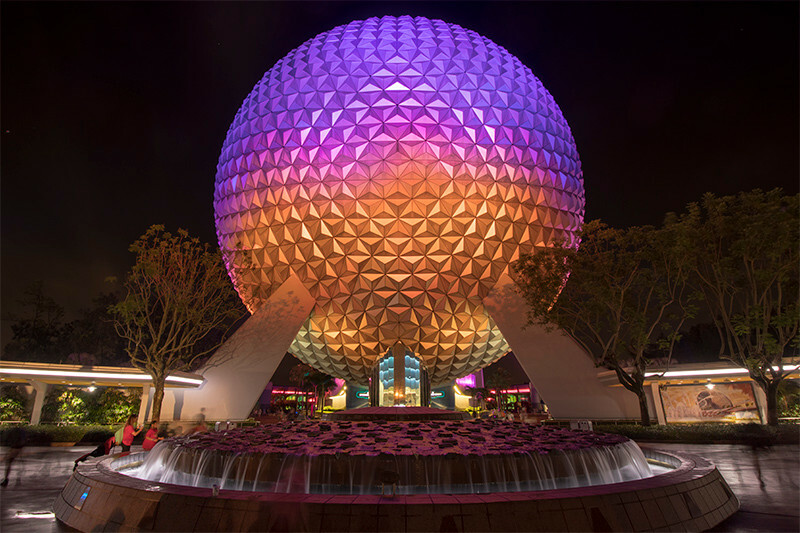 For this image, I clicked on the white lights that are under the trees to the right of Spaceship Earth. In the image below, you can see the color blue adjusted a little bit as the blue line slightly skews from the white line in the graph. The final step is I adjust the saturation. Again. Most of the time I adjust my images by +10, but with Disney, most of them get bumped by +30. It does vary and sometimes I even bring it down and take color out of the photo. I can also get fancy and lower the yellows and bump up all the other colors. But for this image, I just did my Disney thing and bumped the Saturation by +30 as the graph shows below. And that's it! What do you think? Photo editing software can do wonderful things with photos. But you have to start with properly exposed photos to begin with. You can still fix a poorly shot photo, but it won't be as good as a properly exposed photo. The saying Garbage In/Garbage Out works in photoshop too. 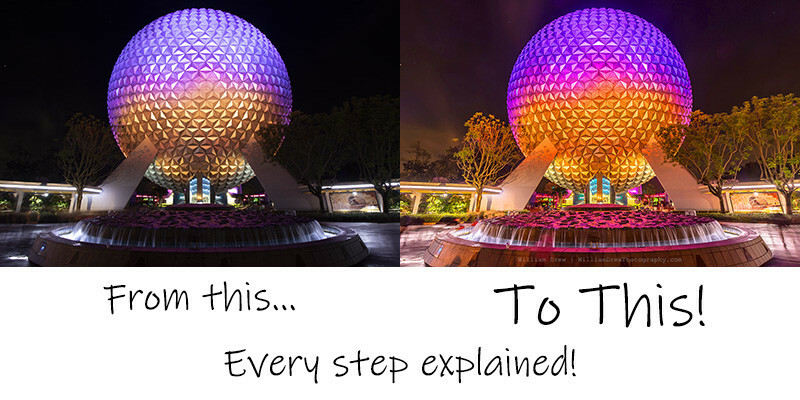 Here is a quick look at each of the steps in the process so you can see how each pic changes. If you have any questions about my process, feel free to message me and I'll get right back to you. What Are the Best Photography Websites? Here is an Answer. Just Announced November 24th Art Show in Maple Grove is Coming Up Soon!